iPhone SIM only deals are a fantastic way of cutting your monthly outlay on calls, text messages and mobile internet. That's only half of what makes them so appealing, though. People also love the flexibility that an iPhone SIM only plan offers. If you go SIM only, you're free to leave your contract at any time with no penalty and can upgrade to the newest iPhone models as soon as they go on sale. Why choose an iPhone SIM only offer? Standard iPhone contract price points and tariffs factor in the cost of the handset as well as day to day use of the phone and this is reflected in their cost. However, iPhone SIM only deals only include calls, text messages and web usage, making them considerably cheaper. The one-year product cycle for new iPhones also means that many people want to upgrade every year to have the latest model. The great thing about iPhone SIM only deals is consumers can do exactly that and don't have to worry about being locked into a lengthy two-year contract. Who can sign up for an iPhone SIM only deal? In order to take advantage of an iPhone SIM only deal, you’ll need to be out of contract with your provider and have an unlocked phone. If your iPhone is tied to a particular provider, you can get it unlocked by calling your network or dropping into a branch of their retail network. Which providers offer SIM only iPhone contracts? 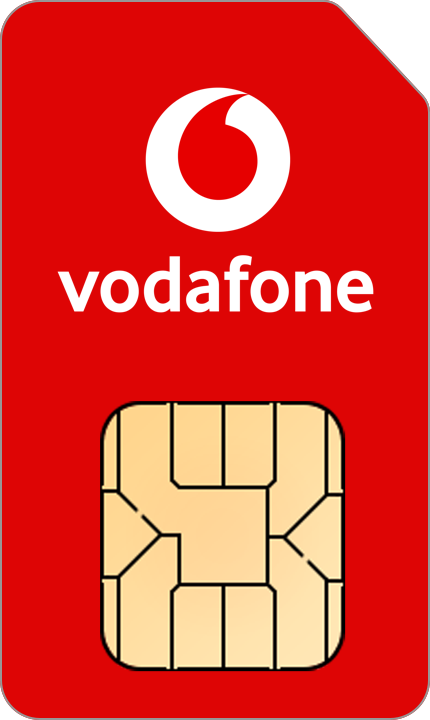 UK phone networks that offer SIM only deals designed for iPhone, include O2, Three, Vodafone, giffgaff, EE, Tesco Mobile and Virgin Media. Most networks don't actually brand contracts as 'iPhone SIM only deals'. But that doesn't mean they're not suitable for the iPhone. What SIM card works for my iPhone? The only thing you need to be sure of is that you get the right SIM for your iPhone. Nano SIMs are for the iPhone 6 and iPhone 6 Plus, iPhone 5S, iPhone 5C and iPhone 5. MicroSIMs are for use in the iPhone 4S and iPhone 4. Standard SIMs are what you need if you've got the iPhone 3GS, iPhone 3G or the original iPhone. O2 SIM only deals start at around £10 per month and stand out for fantastic selection of contract options and plenty of monthly interent usage. O2 iPhone SIM only customers also quality for some great benefits, such as money-off incentives and priority booking for events at O2 venues. Vodafone’s SIM only deals may not be marketed as iPhone SIM only deals but they’ve very clearly been designed with their needs in mind. Prices start from a shade under £10 per month. You also get a choice of Netflix, Sky Sports Mobile or Spotify free. Three SIM only iPhone deals team great coverage and connection speeds with ample mobile internet allowance. Perhaps the best thing about going with Three, though, is that if you've got a 4G device you'll pay the same as you do for 3G. EE iPhone SIM only deals aren't the cheapest. But they do offer you the fastest 4G speeds in the UK. giffgaff iPhone contracts are aimed at cost-conscious customers and qualify subscribers to free calls and texts to other giffgaff numbers and rewards for recommending the company to your friends.